The Capital Area Housing Finance Corporation (CAHFC) was established in 1981 to address workforce housing needs in Central Texas. Over time we introduced new initiatives to expand our ability to provide meaningful resources and tools to first-time home buyers, developers, realtors and investors. Today we assist in meeting the housing needs of workforce families in Bastrop, Blanco, Burnet, Caldwell, Fayette, Hays, Lee, Llano and Williamson Counties, as well as the City of San Marcos. Single Family Housing – We provide assistance to First Time Homebuyers with our Down Payment Assistance Program and Mortgage Credit Certificate Program. These programs help families to achieve home ownership by decreasing the financial burden of mortgage and related purchase costs. To date, we have guided our first time home buyer clients through the acquisition of 3,500 homes. Multi-Family Housing – We also finance the construction or acquisition of multi-family communities designed to provide below market rate rental opportunities. As appropriate, we co-develop and assume an ownership role. 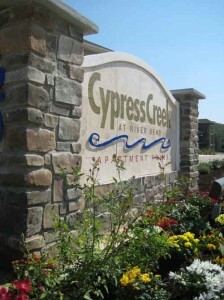 We have financed approximately 3,500 multi-family units, and have an ownership interest in over 860 units. CAHFC works with consultants, builders, realtors, lenders and local leaders to build relationships that benefit area residents, their communities and counties. By providing these programs and building local and regional partnerships, CAHFC is turning local dreams of home ownership into reality while continually contributing to the economy and quality of life of the region. We will remain true to our roadmap and continue to provide high quality products and services that effectively meet the needs of all, and we will do it in a seamless and sustainable manner. We remain confident that what we provide will continue over time to be valued as an asset to the community.